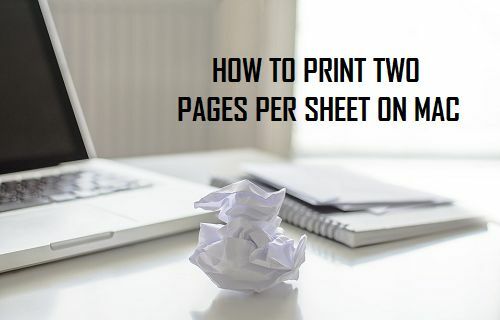 In case you are struggling to find a way to print two pages per sheet on your Mac, you can make use of a workaround that gets the job done and allows you to print two or more pages per sheet on your Mac. There can be various reasons for anyone wanting to print two or more pages per sheet, ranging from Creating a booklet to reducing the size of printed document or to simply save paper. 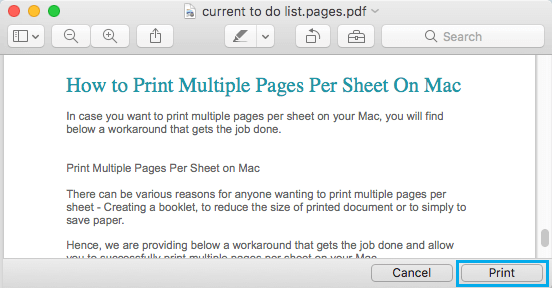 However, the problem is that Mac does not yet provide an option to print multiple pages per sheet. 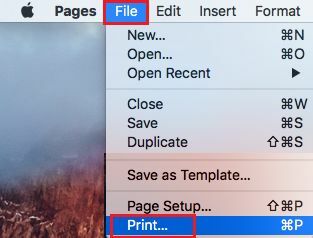 In case you do not believe this, try to access any Menu or Option that you can get hold of on your Mac, you will still end up finding no way to print two pages of document on a single sheet of paper. Unless someone else has figured out a way, the only way that we have been able to print two pages on a single sheet of paper on our MacBook is by making use of the workaround as provided below. 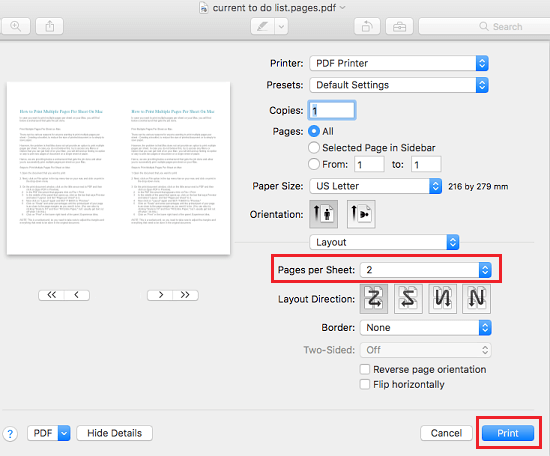 Follow the steps below to print two or more pages per sheet of paper on your Mac. 2. Next, click on File option in the top menu-bar on your mac and then click on Print in the drop-down menu. 3. 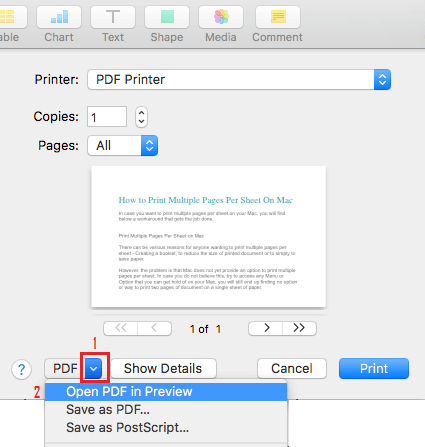 On the print document window, click on the little arrow next to PDF and then click on Open PDF in Preview. 4. 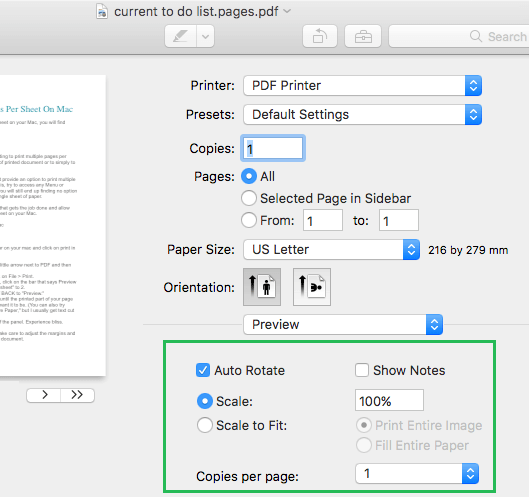 Wait for your Mac to generate the PDF preview of your document. 5. 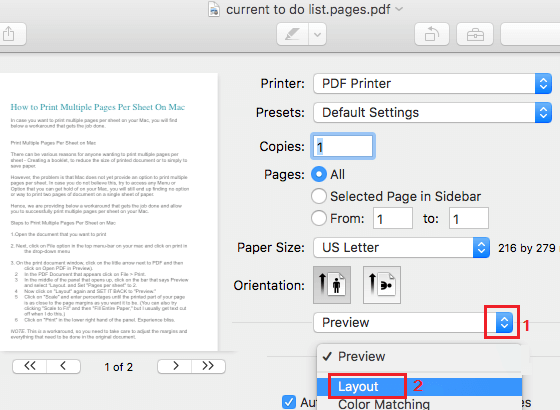 Once the PDF Preview is generated, click on the Print button located at the bottom right corner of the document. 7. Once you switch to Layout option, you will see the Pages Per Sheet option. Click on the down-arrow next to Pages Per Sheet and select the number of pages that you want to print per sheet. In this case let us select 2 pages per sheet. In case you want to make any changes, you will need to switch back to Preview Mode and make your changes. While in Preview Mode, you can choose Scale to Fit to fill the entire page or click on Scale and enter percentages until the content on the document to be printed is as close to the page margins as you want it to be.